Some residents have been on the land since 1958. The case stands as an important moment in the rights of poor residents in the province and prioritises the value and welfare of human life over private commercial interests of landowners. By Julia Chaskalson for GROUNDUP. 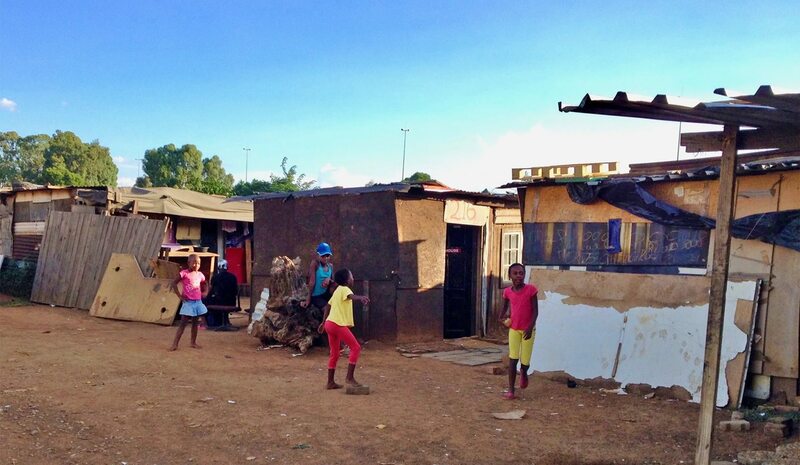 Residents of Pomona Estate informal settlement in Kempton Park, north east of Johannesburg, are overjoyed at the judgment of the Land Claims Court, dismissing an application to have them evicted from their homes. About 375 households, including many elderly people and children, live on an agricultural plot. Their children go to schools nearby. Many members of the community rely on social grants. Those who have employment work mostly in the informal sector in the immediate area. For these reasons, according to the Extension of Security of Tenure Act of 1997 (ESTA), the residents of Pomona Estate qualify as “vulnerable occupiers”. The community has applied to the Department of Land Affairs for RDP housing, but hasn’t heard back. Pomona Estate is their home and the community lived there lawfully for many years, most since the early 1990s. Some residents, Nqaba informed GroundUp, had been living on the plot as early as 1958. Things changed when a commercial property developer, known as Mr Bester, acquired the stand in 2001. Residents paid rent to Bester with his knowledge and consent. Then, in October of 2006, Bester gave notice to vacate to all the residents. He wished to convert the plot into a commercial storage facility. The community resisted, claiming they had “nowhere else to go”. Nothing happened for a further seven years, until, in 2014, Bester filed new eviction notices. During the seven years, he had not approached the community nor engaged with them about finding alternative accommodation. At the end of 2014, he cut off their water and electricity, and also bulldozed their communal toilet and tap facilities. Bester accused the occupiers of “invading” his property, an allegation which the court later found to be “gravely misleading”. Bester allegedly arrived in 2014 with eviction papers, and convinced members of the community to sign them, saying that they were papers to fast track their RDP status. The Legal Resources Centre (LRC) took the case to the Land Claims Court. The court found that Bester had not acted in a “just and equitable” manner and that the circumstances surrounding the eviction were in contravention of ESTA and the residents’ constitutional rights to dignity, life and housing. The court dismissed the eviction application. The court found that the “comparative hardships” to Mr Bester did not outweigh those of the occupiers who would be rendered homeless, and some without work or schools. During the seven years between the two eviction applications, the state did not adequately research or develop alternative housing for the community. LRC attorney Sithuthukile Mkhize, who worked on the case, said that “the State has an obligation to these people,” to find suitable alternative housing in the area. The living conditions at Pomona are far from ideal. Eleven portable toilets and two taps service the community’s 2,000 residents. Not all homes have electricity, and some residents have reported shacks burning down due to use of paraffin. As the state does not own the plot of land, the municipality will not service it adequately with electricity and water. And Bester is under no obligations to provide these services to the community. Bester intends to take the eviction case to the Supreme Court of Appeal, but in the meantime, the community is hoping for engagement with him and the municipality to find a way forward.